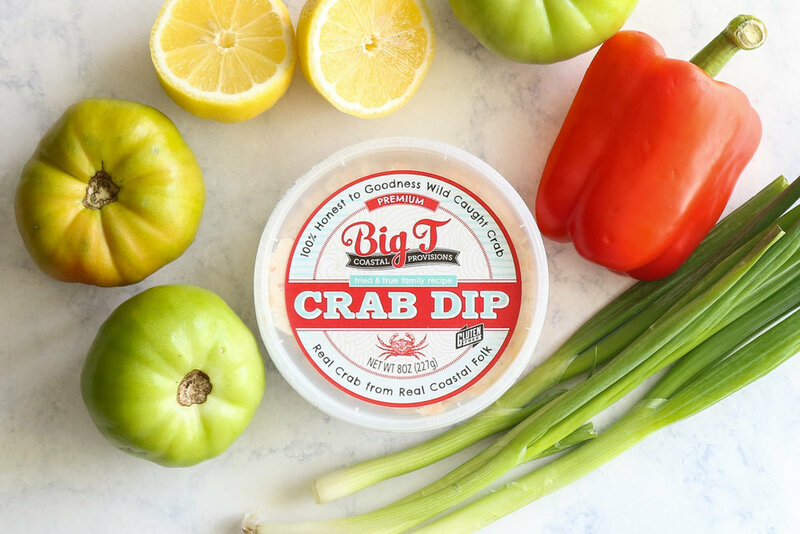 To make the crab salad, stir together the Big T Crab dip, red pepper, green onion, Dijon mustard and lemon juice in a small mixing bowl. Set aside. Mix together the flour and seafood boil seasoning in a shallow bowl. Mix together the cornmeal, panko, salt and pepper in another shallow bowl. Place the eggs in a third bowl, and whisk lightly until beaten. Cut the top and bottom off of the tomatoes, and then slice into 1/4-inch thick slices. Place on paper towels to absorb excess juice. Pour oil into a frying pan, enough to come up about halfway up the sides of the tomato slices. Heat oil to 350 degrees F.Whisk in the butter, a little at a time, until melted and smooth. Dredge tomato slices first in the flour mixture, shaking off excess. Then dip into the egg mixture until coated, and then into the cornmeal mixture. Press the cornmeal mixture onto the tomato so it is completely covered. Add breaded tomatoes in batches to the hot oil. Fry until golden brown on both sides, about 3-5 minutes. Remove from the pan, and drain on paper towels. 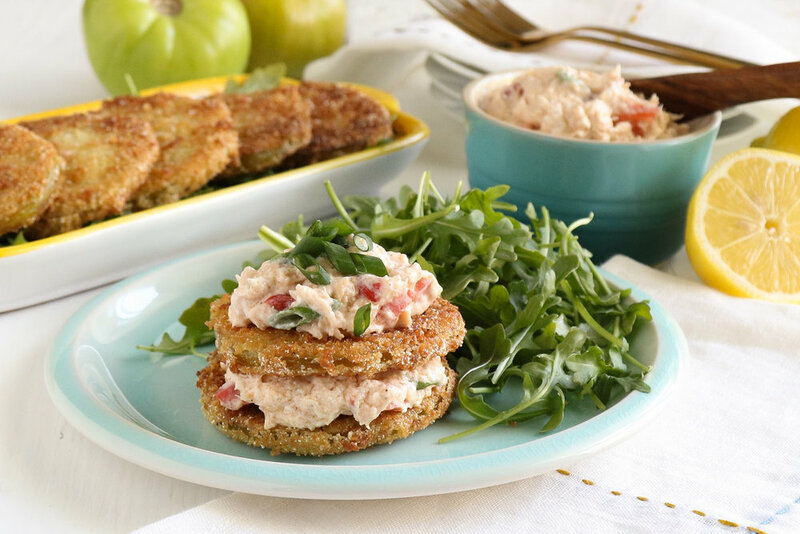 Serve tomatoes warm layered or topped with a scoop of the crab salad.